DIY Starter Kit R1970: Includes Gerson Approved Enema Kit, Detox Coffee, consultation on how to administer coffee enema and recommendation on foods beneficial for detoxification. (We also provide information on foods not recommended during the detox process). The Complete DIY Detox Kit – R2600: Includes a Gerson Approved Detox Enema Kit and Detox Enema (fully prepared) for 7 treatments, consultation on how to administer the coffee enema, PLUS a 14 Day Juicing and Eating Plan AND weekly consultations valued at R700) during the detox program. The VIP Premium Detox Package – R2970: Includes a detailed 30 Day Eating Plan with recipes, 7 Fully Prepared Detox Enemas, (PLUS detox coffee for another 7 treatments) and ongoing support and consultations throughout the 30 Day detox process. Contact us now for a free consult – NO PRESSURE, just facts about getting You healthier. Want a detox package delivered to You? DISCLAIMER: This detox program is not recommended for pregnant or breastfeeding moms. The recommendations provided are never to replace medical advice. Recommendations provided in my detox program and all accompanying material are intended ONLY as information and education and should NOT be taken as medical advice. If you’re seeking diagnoses, treatment, help and treatment for specific illnesses (medical conditions) please consult relevant health practitioners, be it a qualified natural medicine doctor (and other qualified nutrition therapists), doctor or equivalent health professional. Neither I nor the Publishers accept liability for those who choose to use my detox program and related material provided therein. Please consult your doctor before embarking on this detox program or making any changes to your diet, especially if you’re taking any medications. When we talk about “Juicing” we mean making freshly extracted juices using fresh vegetables and fruit. Never do we use store bought juices in a juicing program. Never. Store bought juices, even if they’re “100%” juice lack the LIVE enzymes and other nutrients we need for the detox process. Essentially juice bought in a bottle, can or any other packaging is dead. And contains no nutritional benefit to the body. In fact, packaged juice can be detrimental to health because it’s been stripped of it’s natural nutrients; store-bought juices are essentially a high in sugar liquid. May we repeat that store bought juices are never (ever) to be used in a detox program. Juicing is a powerful detoxifier/cleanser. “Vegetable juicing addresses both toxicity and deficiencies simultaneously. “That organic vegetables are rich in nutrients goes without saying. But their ability to detoxify the body is outstanding. 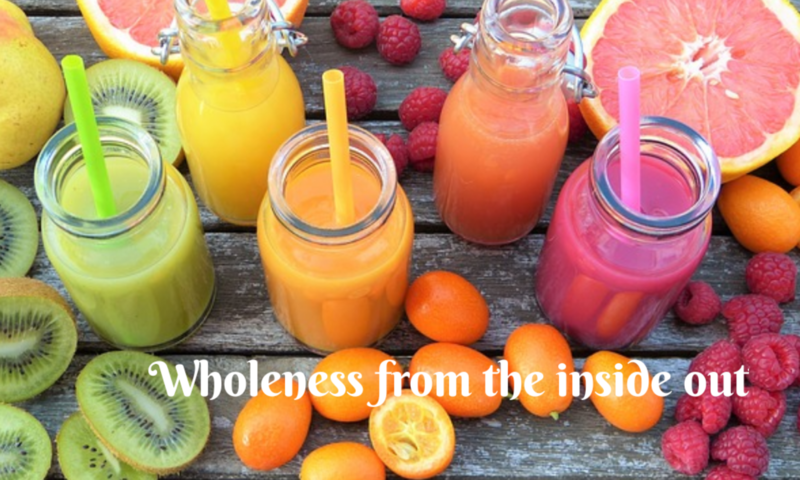 It is widely believed that the body, on its own, cannot manage to adequately eliminate toxins that the body releases through juicing. This is where coffee enemas become absolutely crucial. In their FAQs section the Gerson Institute warns against detoxing, especially with juicing, without the use of coffee enemas. They along with other health practitioners advise that the body cannot handle the huge amounts of toxins released through detox programs, such as juicing for instance, without the use of coffee enemas (to aid the detoxification process). Our detox program is designed using the tried and tested methods of removing toxins from the body while giving the body the wholesome foods it needs to rebuild and restore itself. All our programs recommend coffee enemas as part of the detoxification process. In every program we provide detailed eating plans for each day as well as recipes for each meal we recommend. Breakfast: A bowl of fruit. (You can mix into plain natural yogurt if you like). Recommended: Kiwi and Mango. OR Juice 6 Kiwi and one mango. Blend with plain natural Yogurt to make a smoothie. The full body detox plan is available on the West Rand (Gauteng). It includes colon cleansing by coffee enema accompanied by the trendy and very successful juicing diet. Especially relevant to the programme is the core which consists of seven coffee enema treatments. First of all the enema rids your colon of mucoid plaque. This makes it possible for you to experience the detoxifying benefits of the coffee in your colon. Intensive coffee treatments can lead to an electrolyte imbalance. To counter this a juicing diet is highly recommended. Most noteworthy is that juicing is the quickest natural way for the body to absorb nutrients. Furthermore a 21 day detox diet plan is available to keep you on track with reaching your perfect health goals. While on the internet this substance shares the same notoriety as Bigfoot and leprechauns, almost nobody wants to believe this stuff is inside them. In addition this is truly the most disgusting thing you will ever see come out of your body. Mucoid plaque is the buildup of mucus reacting to toxins in the colon as a direct result of eating refined foods and other toxic substances. Most noteworthy and ironic is that mucoid plaque removal is not the sole benefit of a coffee enema. First of all coffee enema removes toxins accumulated in the liver and in addition removes free radicals from the bloodstream. Coffee contains antioxidants and beneficial compounds, including cafestol palmitate, kahweol, theobromine, theophylline in addition to caffeine. These lower inflammation levels, and assist with the digestive system. As a result of the coffee enema caffeine and other compounds travel via the hepatic veins to the liver. (The hepatic veins carry oxygen-depleted blood from the liver to the inferior vena cava. Also carrying blood that’s been drained from the colon, pancreas, small intestine, and the stomach, to be cleaned by the liver.) Coffee dilates blood vessels, the bile duct and furthermore relaxes smooth muscles that assist bowel movements and improves circulation. The liver reacts to coffee by increasing the production of bile, which is vital for digestion and excretion. A Cancer Therapy (published in 1958) led to the successful use of coffee enemas in the recovery of thousands of cancer patients. Dr. Gerson made coffee enemas famous as a natural cancer treatment when he pioneered the use of a special anti-inflammatory diet combined with nutritional supplements and daily enemas for speeding up detoxification. According to the National Cancer Institute, an organic vegetarian diet plus pancreatic enzymes and coffee enemas were the main features of the Gerson Therapy that intended to build up the immune system of cancer patients and restore electrolyte balance (such as levels of potassium in cells). Many of his patients were able to stop their pain medications and help restore liver function and tissue repair by performing multiple coffee enemas per day. In our opinion this is how mucoid plaque is removed from the colon. Researchers from the University of Minnesota http://cancerres.aacrjournals.org/content/42/4/1193 also demonstrated that coffee enema benefits most probably include stimulating the production of an enzyme created in the liver called Glutathione S-Transferase. This enzyme acts like a antioxidant, anti-inflammatory and natural blood cleanser. This can become a serious problem but is rather easily countered with Juicing. Juicing is a trendy proactive health crusade that has consequently delivered astounding statistics in the battle against chronic disease. The five essential electrolytes and foods that replaces them. High calcium foods include dark leafy greens, cheese, low-fat milk and yogurt, bok choy, fortified tofu, okra, broccoli, green beans, almonds, and fish canned with their bones. The daily value (DV) for calcium is 1000mg. Healthy high potassium foods include beans, dark leafy greens, potatoes, squash, yogurt, fish, avocados, mushrooms, and bananas. The current daily value for potassium is 3.5 grams. High magnesium foods include dark leafy greens, nuts, seeds, fish, beans, whole grains, avocados, yogurt, bananas, dried fruit, dark chocolate, and more. The current daily value (DV) for magnesium is 400mg. Raw celeriac, wax gourd, artichokes, beets, carrots, seaweed, turnips, beet greens, celery and chard contain 75 milligrams of sodium or more per serving. When cooked without salt, sweet potatoes, spinach and collards contain 75 milligrams of sodium or more per serving. Chloride is salt – 2.3 grams (level teaspoon) per day maximum. Some free radicals arise normally during metabolism. Sometimes the body’s immune system’s cells purposefully create them to neutralise viruses and bacteria. However, environmental factors such as pollution, radiation, cigarette smoke and herbicides can also spawn free radicals. Normally, the body can handle free radicals, but if antioxidants are unavailable, or if the free-radical production becomes excessive, damage can occur. Antioxidants neutralise free radicals by donating one of their own electrons, ending the electron-“stealing” reaction. The antioxidant nutrients themselves don’t become free radicals by donating an electron because they are stable in either form. Acting as scavengers they help prevent cell and tissue damage that cause deterioration and disease. 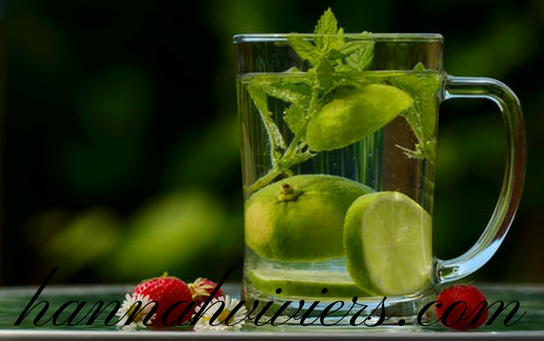 The fundamental principle of juicing is that our body is polluted. It has everything it needs to heal itself but spends all it’s energy digesting unhealthy food and fighting toxins. As a result the body becomes susceptible to chronic disease. 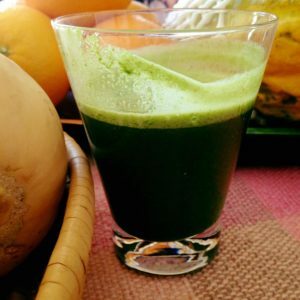 Juicing reduces the energy needed to digest to almost nothing. In conclusion, healthy nutrients become readily available to help the body heal itself. 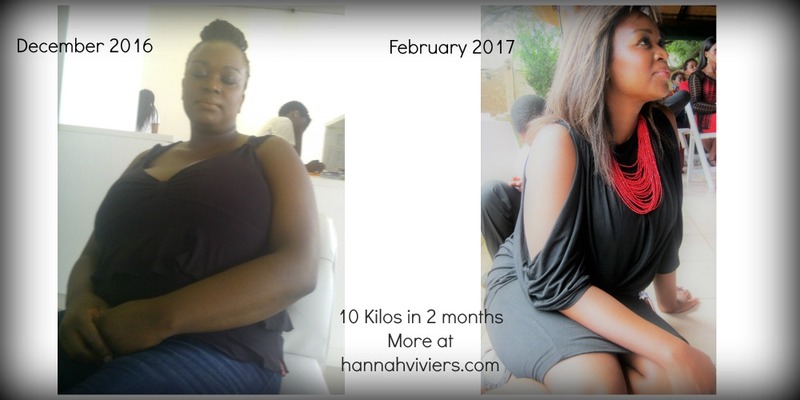 Read Hannah’s amazing story of deliverance from infertility and victory over body pollution. Click here. Contact us now for a free consult- NO PRESSURE, just facts about getting You Slimmer, Sexier and a whole lot healthier in just 7 Days. The recommendations provided are never to replace medical advice. Recommendations provided in my program and all accompanying material are intended ONLY as information and education and should NOT be taken as medical advice. If you’re seeking diagnoses, treatment, help and treatment for specific illnesses (medical conditions) please consult relevant health practitioners, be it a qualified natural medicine doctor (and other qualified nutrition therapists), doctor or equivalent health professional. Neither I nor the Publishers accept liability for those who choose to use myprogram and related material provided therein. Please consult your doctor before embarking on this program or making any changes to your diet, especially if you’re taking any medications.